Sabathia and the Yankees: Did anyone ‘CC’ this coming? 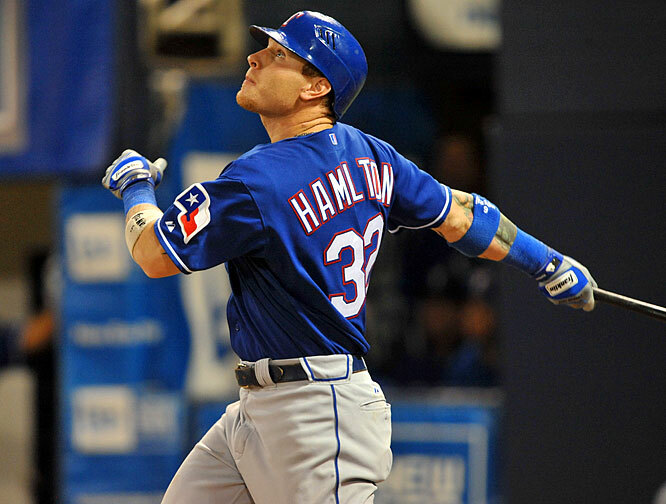 April Whitzman (Blue Jays and Prospects Writer – MLB reports): At the stroke of midnight, C.C. Sabathia wouldn’t have turned into a pumpkin, but the Yankees had the potential of not getting the fairy tale they wanted. But, lo and behold, a fairy godmother appeared, in the form of a signed contract, which showed that C.C. Sabathia would accept a new deal and remain with the New York Yankees. The new deal also had the effect of adding 30 million dollars to his bottom line. As such, Sabathia did not become a free agent. But at what cost? Sabathia already had $92 million left on the old contract, or, in layman’s terms, about $23 million a year. Now, the new deal increases his salary to $25 million for 2016 and also gives the Yankees a $25 million option for 2017 with a $5 million buyout (depending on whether Sabathia can stay healthy in 2016). Was the money worth it? At a quick glance it would appear that the money is well-spent for the Yankees. In fact, since signing a $161-million, seven-year deal with the Yankees in 2009, Sabathia has gone 59-23 with a 3.18 ERA during the regular season for the Yankees. But that’s not the only reason that the money was well spent for the Yankees. I f the Yankees would not have been able to convince Sabathia to stay, their rotation (as it stands now) would have consisted of A.J. Burnett, Phil Hughes, Ivan Nova and unless some offseason trading or signing occurs, likely David Phelps and Hector Noesi. Had Sabathia not signed, the Yankees would have been even more likely to chase any and all free agent starting pitchers on the market, including C.J. Wilson of the Rangers, and Japanese phenom (who the Blue Jays and Rangers are currently rumored to be targeting), Yu Darvish. 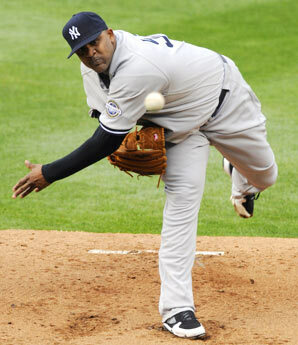 Fortunately for the Yankees, Sabathia did agree to sign. But I would not assume that the Yankees have stopped their search for additional starting pitchers to beef up their rotation. Rather far from it. In order to get over the hump, the Yankees will need to acquire complimentary pieces to their existing ace pitcher. But with that being said, can one even imagine what would have happened if Sabathia had not stayed in New York? And if perhaps some other team came and swept Sabathia off his feet during the upcoming free agency courting period? If Sabathia had opted out of his contract and become a free agent, it would be interesting to review which teams could have been the right fit for the Yankees’ ace. Potential suitors could have included the Nationals, who already are developing a young up-and-coming team with a stellar rotation. It could have also been the Red Sox, as after the Tommy John surgery to John Lackey, also require more depth to their rotation. 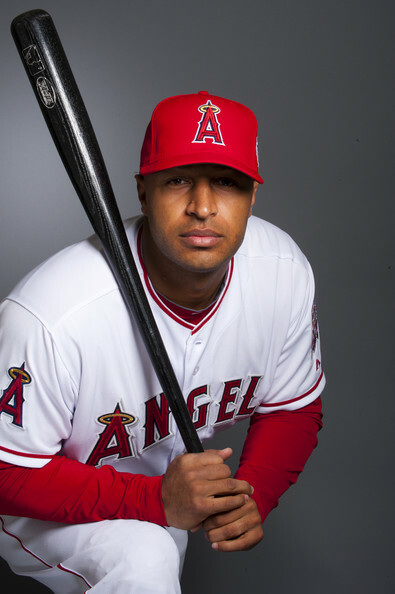 Finally, the Los Angeles Angels could have been a suitable destination, because as was saw last year with Vernon Wells, the Angels do not care about the price. Rather the team looks at the quality of the player (in effect, taking the player they want at any price). The Angels could have been a very strong suitor for Sabathia location-wise, given that CC is a California native. Overall though, despite the fact that he was born in California, Sabathia admitted that his family has now made New York their home. Sabathia moved his family to New Jersey and is an active member of the local community. So much like the end of every fairy tale, CC of course, will live happily ever after. Then again, making $122 million over the next five years, with the potential for $147 million ver six years, certainly helps! With A.J. Burnett on the mound, Yankee fans were on the edge of their seat in anticipation for the game against the Tigers. They knew they needed a win, and a big one. Well, they got exactly that. Derek Jeter started the scoring in the third inning with a double that scored Russell Martin and Jorge Posada. They would hold the 2-0 lead until the bottom of the fourth, when Victor Martinez launched a solo homerun to make it a 2-1 game. That would, however, be the only run that the Tigers would score as the Yankees scored another run in the 5th, when Curtis Granderson doubled Brett Gardner. Later in the inning, Alex Rodriguez would score Derek Jeter to give the Yankees a 4-1 lead. 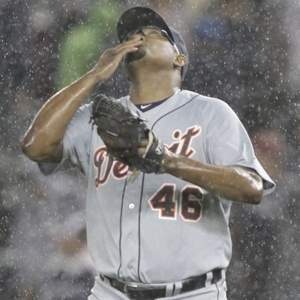 In the top of the eighth, Al Alburquerque, facing Jesus Montero, balked which allowed Alex Rodriguez from second. Montero would later single to score Mark Teixeira. Daniel Schlereth would then come in for the Tigers, but it didn’t get any better, as he threw a wild pitch that scored Montero and then gave up a 2-RBI single to Robinson Cano. After a 6-run inning the score was 10-1. Evidently, that would be the way the game ended as Boone Logan struck out the side in the ninth, as the Yankees forced a game 5. Burnett went 5.2IP allowing one earned run on four hits, three walks and one strikeout. From then on in, the collective bullpen pitching, including Rafael Soriano, Phil Hughes and Boone Logan pitched 3 1/3 of no-hit baseball, allowing no walks yet striking out six. Game five goes tomorrow night in New York, Fister vs. Nova for all the marbles. 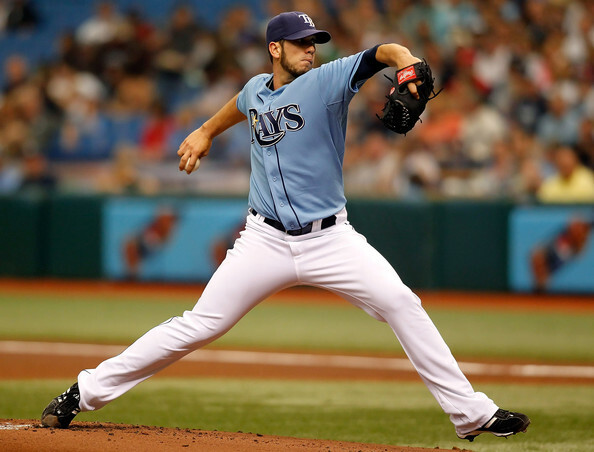 The Rays had been in this position not too long ago – one loss away from not being able to move on to the next step. Recognizing this, they sent Hellickson to the mound against Rangers’ Harrison. That said, after already winning two games in a row, the Rangers were not going to go down easy as Ian Kinsler hit a home run in the first at-bat of the game. In the 2nd, the Rangers added to their lead with another home run, one from Adrian Beltre, and already Texas was up 2-0. In the bottom of the inning, the Rays cut the Rangers lead in half thanks in part to Matt Joyce’s RBI double. 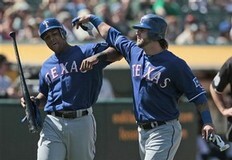 Adrian Beltre, did not give up easy and in the forth, launched another solo home run. His 2nd of the game. But again, the Rays fought back and again, Sean Rodriguez scored, this time off the bat of Casey Kotchman. Adrian Beltre though would not allow the Rays to catch up as, in the top of the seventh, he launched his THIRD home run of the game. In the bottom of the 9th, with the score 4-2, Sean Rodriguez once again told his team he wanted to cross the plate once again. So sure enough, Casey Kotchman singled him in with one out in the ninth, making the score 4-3. But the third Beltre homerun proved to be the difference, as Alexi Ogando got Matt Joyce to pop out and Desmond Jennings to ground out. Harrison got the win, going five complete innings, allowing two earned runs on five hits while walking two and striking out nine. With the win, the Texas Rangers move on to the next series, facing off against the winner of the New York Yankees and the Detroit Tigers. Everyone loves great baseball and that is certainly what was received when Phillies’ Cole Hamels faced off against Cardinals’ Jaime Garcia. There was no score until the seventh inning as both pitchers were cruising along. Much like what occurred in all other aforementioned games, a home run proved to be the difference as after Shane Victorino singled and Carlos Ruiz was intentionally walked, Ben Francisco was placed in to pinch hit and he did not disappoint – launching a three run home run to give the Phillies a 3-0 lead. The Cards fought back in the bottom of the inning as David Freese hit an RBI single that scored Allen Craig. They would carry this momentum into the ninth inning as Albert Pujols led off the inning with a double off Ryan Madson. 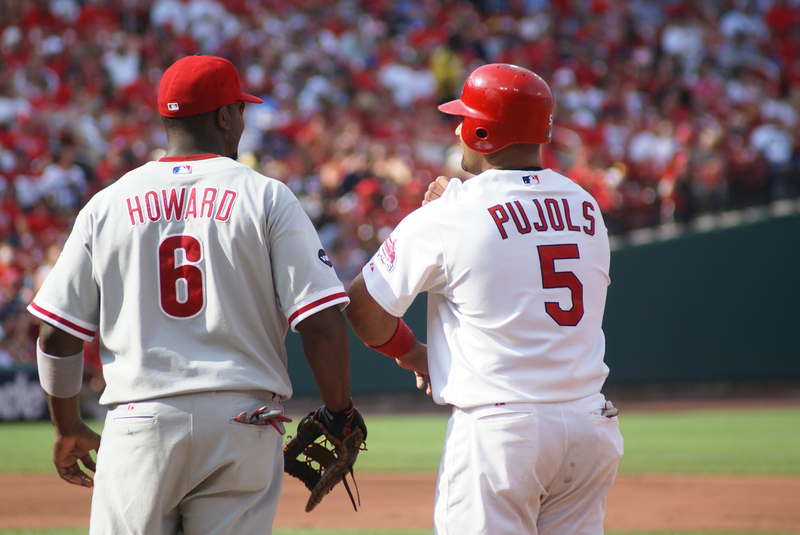 Pujols would later score off of a Yadier Molina single but that would be all they would get as Ryan Theriot grounded out to end the game, enabling the Phillies to win by a score of 3-2. Cole Hamels got the win, going six complete innings without a run, allowing five hits and three walks, but striking out eight. Game four goes tonight in St. Louis, Oswalt vs. Jackson. In a must-win game for the Arizona Diamondbacks, they sent Josh Collemeter to the mound against Brewers’ Shaun Marcum and Collemeter did not disappoint. Arizona got on the board early against Marcum thank in part to a RBI double from Miguel Montero and an RBI single from Paul Goldschmidt. Both of these scoring plays were fielder by centerfielder Corey Hart, so Hart felt he needed redemption. When he got up to bat in the third, he did exactly that, hitting a homerun to left field, and cutting Arizona’s lead to 2-1. The damage, however, had already been done. In the bottom of the inning, Arizona added to their lead when Aaron Hill scored on Montero’s second RBI of the game. On the play, Nyjer Morgan got Justin Upton out on a close play at the plate. With the score 3-1, Arizona knew they needed a few more runs to ensure a game four. Evidently, Paul Goldschmidt was thinking the same thing as in the fifth inning, he hit a GRAND SLAM (GOLDSCHMIDTTTTT!). Kameron Loe would then come in to pitch and replace Marcum, but Arizona was much too dominant, scoring another run in the inning from a Ryan Roberts RBI single, giving the Diamondbacks an 8-1 lead. This evidently would be how the game would end as Milwaukee managed only three hits in the game. This can be attributed to Collemeter’s fantastic game as he went seven complete innings, allowing only two hits, one earned run on two walks and six strikeouts. Marcum’s outing was not as great, as the ex-Blue Jay went 4.2 innings, allowing seven earned runs on seven hits and three walks while striking out three. Game four is the late game tonight in Arizona, Wolf vs. Saunders. Peter Stein (Fantasy Baseball Analyst – MLB reports): After a historically bad start to the regular season, Javier Vazquez has finished the 2011 campaign on a hot streak to the delight of many fantasy owners who found the 35-year-old right-hander available on the waiver wire. He is ending his season and career with a bang, not allowing a run in his last 25 innings pitched and winning five consecutive starts. His 7 wins, 2.16 ERA, and 87 strikeouts in 87 innings make him one of the strongest starting pitching assets in all of baseball post all-star break. New York Yankee fans are also all too familiar with Vazquez as well, as his stints in the Bronx in both 2004 and 2009 are reminiscent of A.J. Burnett’s 2011 campaign. There is no question that Vazquez is streaky and frustrating to own, for both real and fantasy managers. However, Vazquez finished 2011, and he says his career, with one of the strongest stretches of his career – conveniently down the stretch for savvy fantasy owners. As his fastball velocity increased, so did the frequency in which Vazquez used it. While it’s rare that a 35-year-old regains velocity, it is evident that it was the key to his success. The gain in velocity, coupled with a low-pressure situation in Florida in the NL East, allowed Vazquez to morph back into the pitcher he was in 2009. Although some players rely on velocity more than others, it certainly is a major factor in a pitcher’s success. Just look at Ubaldo Jimenez. 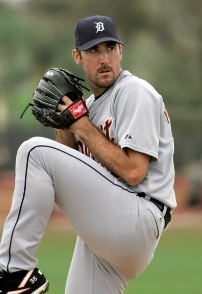 With an average fastball velocity of 96mph in 2010, he put together a 19-8 season with a 2.88 ERA. In 2011, his velocity dipped to 93.9 mph and Ublado had trouble getting hitters out, compiling a 10-12 record with an ugly 4.47 ERA. Unless Ubaldo can have a Javy-like resurgence in velocity, he will be forced to improve his secondary pitches and will probably never again be a Cy Young contender. This gets me to the point of the article. Many fantasy owners tend to ride players who are on hot streaks. But how can you predict these hot streaks when luck plays such a big factor? There needs to be an identifier for success, because all too many times we see players burst onto the scene with a few good starts but soon fizzle away. Sample size is very important, and Vazquez has demonstrated that he is capable of success. It was the gain in velocity and Vazquez’s placement in the NL East that made him a second half commodity. Therefore, before you trust a guy who is “hot”, be sure you do your research and find out why. Otherwise, you are simply gambling. With starting pitchers look for the factors that might contribute to a pitcher’s success: velocity, pitch selection, league and division, and ballpark. I am about to finish the latest baseball book that I am reading and will be posting a review this week. 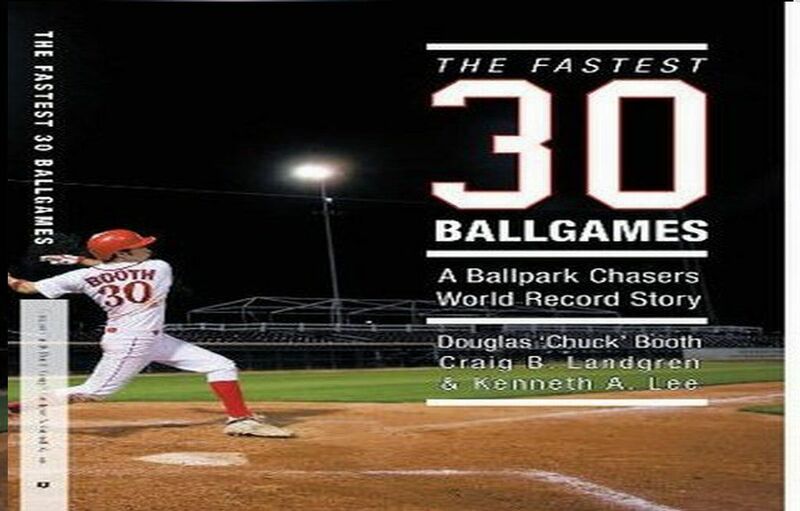 “The Fastest Thirty Ballgames”, by Ballpark Chaser extraordinaire, Doug Booth. I don’t want to give away much of my report, that will be saved for the review. Needless to say, the book has inspired me to fulfil my goal of seeing all thirty MLB ballparks. While it takes me ordinarily a couple of days to a week to complete a baseball book, this particular book has taken me much longer. I have read and re-read this book over and over, going back to read favorite sections. For any baseball fan who loves baseball road trips or is thinking of taking one, this book is the perfect travel companion. One of the biggest topics on the lips of Yankees fans is the contract status of C.C. Sabathia. After Ivan Nova, the Yankees have several question marks as to their rotation going into the playoffs. Bartolo Colon, Freddy Garcia, Phil Hughes and A.J. Burnett are all in the mix. But if Sabathia were to hypothetically opt out of his deal and test free agency, the Yankees pitching staff could collapse like a house of cards. It appears that Sabathia has enjoyed his time thus far in New York and plans to continue pitching as a Yankee. Although Sabathia will likely opt out, both player and team will do everything possible to keep the big guy in pinstripes. Sabathia will become even richer on a new deal, as Alex Rodriguez was on his decision to opt out and sign a new Yankees deal. For the team with the highest payroll in baseball, to contend it will re-sign its ace in the offseason. 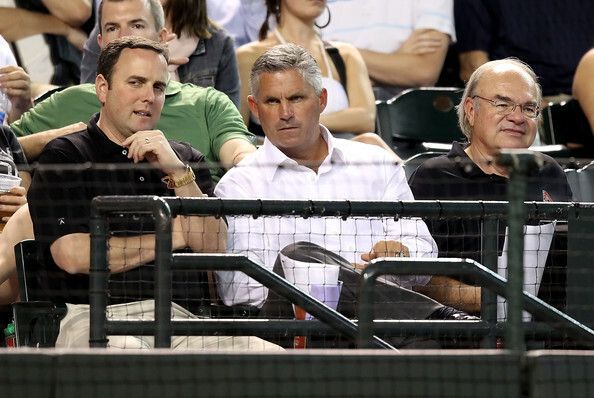 Rumors are circulating that many MLB General Managers will be wooed to change teams in 2012. 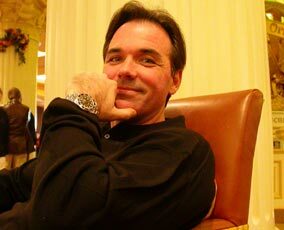 Brian Cashman of the Yankees, Andrew Friedman of the Rays and Theo Epstein of the Red Sox are all apparently in demand, as is Billy Beane in Oakland and Mike Rizzo in Washington. From all the best GMs that will be considered for the Cubs position, the only one I could see is Cashman. With his contract up in New York and the Steinbrenner regime exercising control in decision-making (see the Rafael Soriano deal), Cashman may have had enough and makes the move to the Windy City. All of the other GMs are in great positions, with little or no incentive to make the leap. Some have called for the Astros to make a strong play for Friedman, but I see him staying put in a great situation with a strong talent base. Friedman will see his team through to an eventual World Championship. 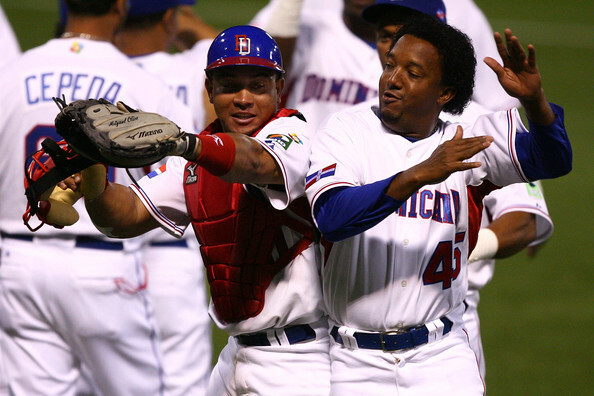 I had several conversations with baseball people about the World Baseball Classic, with the third edition coming up rapidly in 2013. As discussed in a previous article, there are some changes to the WBC that have been instituted, including a qualifying tournament in the fall of 2012. New countries in the mix include Great Britain, France, Israel and Brazil. In all there will be 12 new countries, together with 4 holdover countries vying for 4 open spots into the tournament. From the 16 existing WBC countries, 12 were granted automatic berths into the tournament. The challenge facing MLB and WBC officials is to have eligible players play for their respective countries. One particular country I discussed was Israel. Imagine a team lead by Ian Kinsler, Ryan Braun and Kevin Youkilis. Quite the powerhouse offense. To have this tournament ultimately succeed, star players that are eligible for new and less known baseball countries need to play for these countries and increase the exposure of the sport in those regions. That is really what the WBC is all about. For fans in Kansas City, Baltimore, Pittsburgh, Seattle, Washington, and San Diego, please be patient. Your teams will be better. It might be hard to believe and some of you must be sick of hearing it, but your teams have great young talent and each will be a contender one day. The only variable against you is time. With their victory over the Giants last night, the Diamondbacks now hold a six game lead in the NL West. How Kevin Towers remained on the market so long before being hired in Arizona is beyond me. Derrick Hall and company have put together a nice young team, with strong management on the field and in the front office. Towers has put together the team and manager Kirk Gibson has molded them into a contender. It goes to show that a bleak situation can be transformed almost overnight, if you have the right people in place. Baseball, as much as any other sport, starts with the people in charge. A solid management foundation flows through the whole organization and can make or break a major league team. Arizona is the team of destiny in the NL West in my mind and while they will have a very difficult time passing the Phillies if they make the playoffs, just playing in October this year will be considered a huge victory for the team. Outside of New York and Boston, many baseball fans are apparently sick of talking about the Red Sox and Yankees. 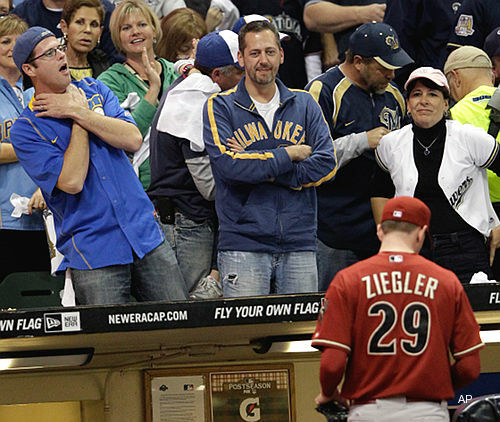 For as much as fans may despise the teams, as baseball fans they should still respect them. Baseball, without the history and tradition of the Red Sox and Yankees, would have a large void. During my recent trip to Cooperstown (with a full report on my experiences coming soon), I was fascinated by the Babe Ruth exhibit and all the features on the two powerhouse squads. There are no guarantees that either the Red Sox or Yankees will be in the World Series this year. But having the teams in baseball is a good thing. Attendance figures on the road when either team in town shows the demand. You may hate the Red Sox and Yankees. But you love to hate them. For those of you that are either Red Sox or Yankees fans (can’t be both), you are some of the most passionate and knowledgable fans in baseball and I salute you. I have been speculating since spring training that Jonathan Papelbon will leave Boston and join the Phillies this offseason. 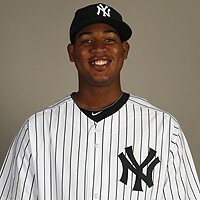 I read some speculation this week that the Yankees may look to add him as the heir apparent to Mariano Rivera. I could only imagine the feeling in Fenway the first time Papelbon would step foot on the mound in Pinstripes. Unlikely to happen in my opinion, but speculating can be fun sometimes. 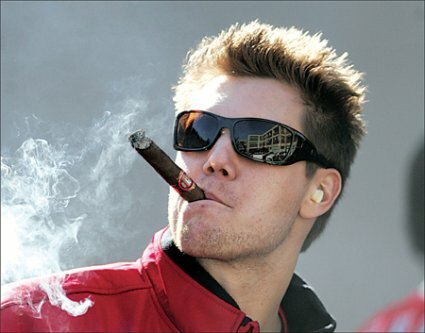 Until I hear otherwise, I am predicting Papelbon to the Phillies. 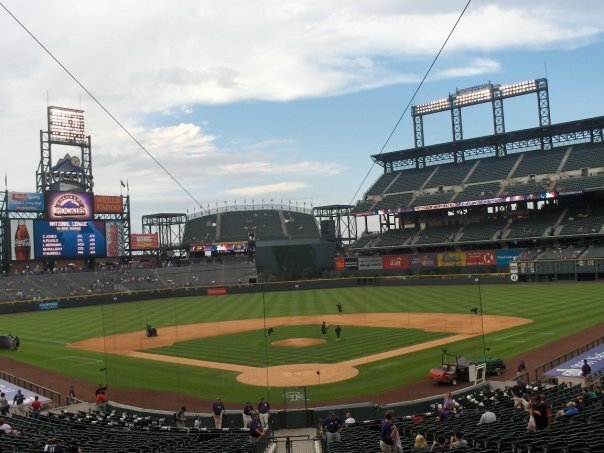 With the playoff races in baseball almost completed, it is time to turn our attention to October and thinking about the teams that will play in the World Series. My picks at this point are the Rangers and Phillies. Call it a hunch. Call me crazy. I am seeing a Texas Philadelphia matchup and one of the best fall classics in recent history. Finally, I made a point on Twitter yesterday that the regular season is almost done. If you have not made it a live game yet this year or even if you have gone to twenty or more games, try to attend as many September games as you can. When November hits, the winter can be quite a sad time for baseball fans. Unless you can make it out to Arizona or Mexico, chances are that you will not be able to watch winter ball. With the internet, those games can be found to be viewed on your computer. But as fans can attest, nothing beats a live ball game. Enjoy as many of those games as you can now. 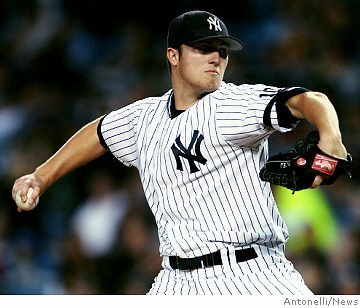 Rob Bland (Intern- MLB Reports): When you look at the New York Yankees pitching staff in 2011, two things come to mind. C.C. Sabathia is the only frontline starter they currently have, and he has a pretty decent supporting cast. That being said, last week, the Yankees have decided to go with a 6-man rotation for the time being. This could be a motivational tool for Phil Hughes, who has struggled with injuries and command this season. It also could be a way to limit some of the other starters’ inning totals. Here is a quick look at all six members of the current rotation and how they stack up. C.C. Sabathia is a true ace. A workhorse. A throwback to a generation where pitchers routinely threw 210+ innings in a season. In his first 10 Major League seasons, Sabathia averaged over 210 innings per season. This season, he is on pace for close to 250 innings. Sabathia is once again this season one of the strongest frontrunners for the AL Cy Young Award. Bartolo Colon is having a resurgence nobody could have predicted. His ERA+ (a stat that compares his ERA with league average as well as adjusting to ballparks) of 126 is the highest it has been since 2002 when he was traded from Cleveland to Montreal. He has thrown 113 2/3 innings already, which is more than he threw from 2008-2010. Although it is fair to say he didn’t pitch in the big leagues in 2010. Colon hasn’t thrown this many innings since 2005, when he threw 222 2/3 on his way to a Cy Young Award. Colon is throwing strikes and eating innings. Since joining the rotation, Colon has averaged over 6 innings per start. 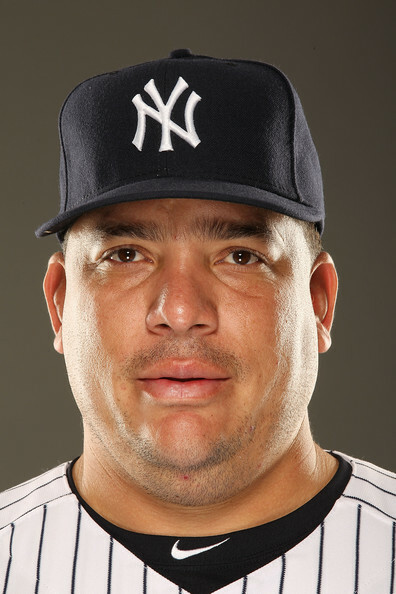 Colon is a candidate to tire and wear down due to his large frame and weight, as well as the number of innings he has thrown in the last 5-years. A.J. Burnetthas again been under-performing in relation to the 5-year $80M contract he signed before the 2009 season. Burnett has always been touted as a pitcher with electric stuff, but unable it seems to figure it out. Last year he was atrocious. This year he is better, but still not very good. He is on pace to lead the league in wild pitches for the second time in three years; in 2010 he was 2nd. Burnett’s walk rate of 4 per 9 innings is not good, and he is giving up home runs at an alarming rate of 1.3 per 9 innings. If we thought that Colon has been good this year, then Freddy Garcia has been great. Once considered a great inning eater, with 7 of his first 8 MLB seasons throwing over 200 innings, he is back to his old tricks. Garcia doesn’t throw with the same velocity as he once did; his fastball averaged 93 mph in 2002, whereas it sits around 87 now. He knows this is the case, and actually only throws his heater 37.2% of the time, compared to 63% in 2002. The biggest difference is that he now throws a split-finger 21.5% of the time, which he didn’t begin throwing with any regularity until 2006. Garcia threw 157 innings last year, so I don’t see him wearing down yet as evidenced by his 3.16 ERA in 122 1/3 innings this season. Phil Hughes has not had the 2011 that the Yankees dreamed of after his terrific 2010 season, where he went 18-8 with a 4.19 ERA. Hughes has only started 8 games this year, and has not pitched very well. His main problem is that he is simply not missing any bats. His K rate sits at 4.74/9 IP. Hitters are hitting more line drives, and less ground balls off Hughes, which is a reason for a spike in his BABIP of .343 as compared to .274 last year. The Yankees could be using his next couple of starts to see if they will stick with a 6-man rotation. Hughes has been unable to last more than 6 innings in a start this year. It should be noted though that his last start on August 2nd was an encouraging one, as he threw 6 innings, allowing only 3 hits and induceing 9 ground balls. Ivan Nova had been dangled in trade talks seemingly from the end of the last World Series until this year’s trade deadline, where the Yankees pulled him back to keep for themselves. GM Brian Cashman has said that they feel Ivan Nova is as good as the current version of Ubaldo Jimenez, so they held on to him, hoping to harness his ability. When Hughes returned from the disabled list, Nova was initially optioned to AAA to make room in the rotation. Nova has been pretty good all season, as his sinking fastball induces a ton of ground balls. His 10-4 record with a 3.81 ERA has been impressive, but he still doesn’t strike out many hitters. Nova threw almost 190 innings last year, so he will have no restrictions this year as he currently sits at 122 IP in the MLB and AAA combined. The Yankees have a pretty good problem to have in that four of their starters are pitching well., one starter has been working back from an injury and is improving, and the other is a guy with tremendous talent. The choice that many would like to see is Burnett being pushed to a bullpen role, but I don’t see that happening. One more turn in the rotation should prove that the Yankees need to cut down on Garcia and Colon’s innings, and that Burnett should throw on 5 days rest instead of the usual four. Garcia and Colon may also get skipped in the rotation a couple of times down the stretch to save their arms for the playoffs. For the playoffs, most teams use a three or four-man rotation, using their fifth guy in a long relief role. The Yankees can make a case for a four-man rotation, using Sabathia, Nova, Colon and Garcia if they all stay healthy. That is a lot of talent and experience to utilize in a short playoff matchup. Hughes has never been that impressive to me, but if he rounds into form, he could easily slot into the fourth spot, pushing out Colon or Garcia, depending on who loses the battle at the end. The bottom line is that the Yankees have depth at the Major League level. They have successfully held on to many of their top prospects in the last few years, while adding crafty veteran free agents to the mix. The result is that the Yankees should continue contending for the American League East division title this year and for many years to come. MLB reports: A big tilt was scheduled for last night, Yankees vs. Red Sox. Always a classic between two of the biggest rivalries in baseball and all of sports. While both teams have taken time to get out of the gate, signs were starting to appear that each was starting to come around and getting ready for a dog battle for the AL East crown with the Rays all summer long. One minor sidenote was the lineups, which was shaken up by Yankees manager Joe Girardi. Struggling DH Jorge Posada, normally batting somewhere in the middle to lower-end of the Yankees lineup, was dropped to the #9 slot. Considering that Jorge was batting .165 and struggling all season for the Yankees, most baseball fans and analysts would not have given the move a second thought. In fact, most would have applauded Girardi for making the necessary move to most help his ball club and perhaps ignite his stagnant DH. But something happened along the way that resulted in Posada missing yesterday’s matchup. As the mystery of the missing Posada is unfolding, tongues cannot stop wagging and the baseball world has its focus on New York to attempt to solve “Posada Gate”. From the news and people that I have spoken with, it is clear that Jorge Posada came to manager Joe Girardi before the game and asked to be taken out of the lineup. Girardi accommodated Posada in his request and changed the lineup. Somewhere along the way Posada made mention of “feeling disrespected by the Yankees” as well. The issue becomes blurry as it does not appear that Posada indicated at the time of his removal that he had any sort of injury and the comments on being disrespected is being directed to being placed in the #9 slot in the Yankees batting order. During the game last night, damage control was in full effect. Posada’s wife, out of all people, tweeted during the game that her husband was suffering from back stiffness and that was the reason for him missing the game. The “back stiffness” account was confirmed by Posada’s agent as of this morning and by Posada himself last night after the game. But something seems awry and not sitting right with me. Let’s dig deeper to see if we can get to the bottom of this. Brian Cashman, the Yankees General Manager, informed the media that Posada had removed himself from the game and did not make it known that any injury was behind the decision. From reading Cashman’s comments, I had the distinct impression that the Yankees were not impressed with Posada’s actions. Having Posada indicate that he felt disrespected was the kick in the teeth, the igniter of this Yankees fire. I cannot understand what Posada was thinking in making such a statement, but it is clear that both player and team need to work towards finding a quick resolution to Posada Gate. The team does not need such a distraction coming from one of its elder players and possible future hall of famer. But in order for such a resolution to arrive, both team and player need to come clean, apologize and move forward. Lets be clear from one end. The New York Yankees do not owe Jorge Posada a single thing. 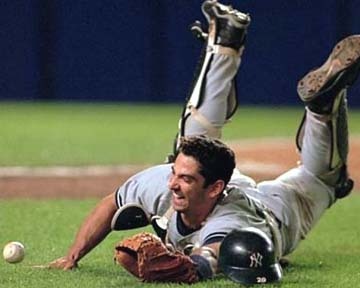 In 2007, the Yankees granted the then 35-year-old Posada a 4-year, $52.4 million contract. On the open market, coming off back-to-back 20+ home run, 90+ RBI seasons, Posada would have been lucky to obtain a 2-year, $20 million deal. The Yankees were essentially bidding against themselves and out of loyalty and reward for Posada’s years of service to the team, compensated him with one last big score. The team knew full well that Posada would not be able to play out the contract as a catcher and would like move to 1B or DH at some point, making him less valuable from a financial standpoint. But the team gave Posada his due and he happily accepted the contract. Taking a look at the situation following Posada’s signing, the value has not been there. Posada was injured for much of 2008, limited to 51 games. 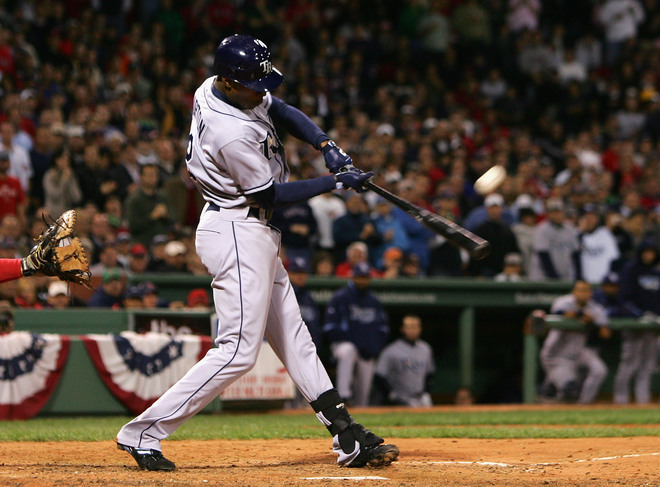 In 2009, Posada at 37 had his last big season, with 22 home runs, .285 AVG and .885 OPS. But as we recall, Posada and teammate A.J. Burnett were having issues, as A.J. was insistent that Molina catch his games rather than Posada, based on Posada’s eroding skills behind the plate. While much of the blame was directed at Burnett, Posada did little to calm the waters. The Yankees stood behind Posada then, even considering that his defense was no longer acceptable at the major league level. 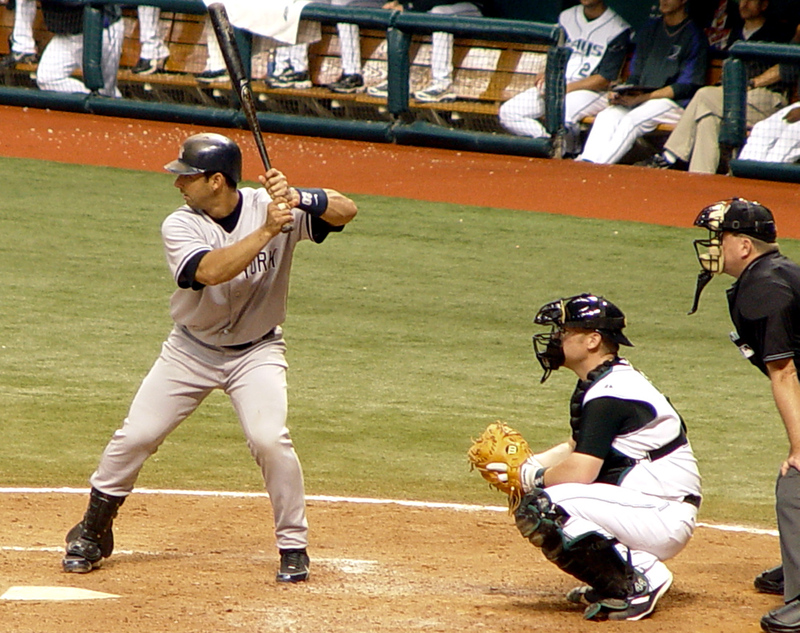 Going into 2010, Posada remained the Yankees catcher and played 83 games behind the plate. Finishing the season with a .248 AVG, the Yankees were in a bind. They had one more year to go with Posada with a monster contract. Despite needing to make a change sooner, the Yankees showed Posada loyalty by sticking behind him up to that point. But with the highest payroll in the game and team performance and team results coming first, the Yankees made the right move. Former all-star catcher Russell Martin was signed as a free agent after being let go by the Dodgers. The Yankees were able to outbid the Jays and Red Sox for his services and have been handsomely rewarded with Martin’s strong play behind the plate and with the bat. Beating out the Red Sox, with the second-worst hitting catching tandem in baseball, makes the signing that much sweeter. With also three of the top catching prospects in the game sitting in their farm system, the Yankees clearly had options. Jorge Posada, based on his declining numbers and skills, was not one of them. So here is where we sit today. Jorge Posada got his big contract. The team stuck with him through injuries and poor play, despite the fact that it was not the best decision from a baseball standpoint. 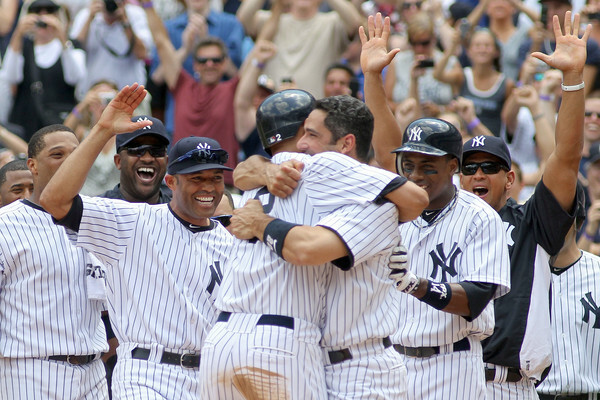 Going into 2011, the Yankees said “no more” and moved Posada to DH full-time. To be able to save wear and tear and focus on offense, experts agreed the move was best for the team and player. Posada offered little resistance, although he did indicate in the media several times that the adjustment was difficult and one that he did not necessarily enjoy. But sitting in the middle of May, hitting .165, Jorge Posada was not in a position to make demands or question his manager’s authority. Posada should be embarrassed with his statistics and working towards improving himself, rather than blaming others. My feel for the situation, is taking a look at the lineup card Posada did remove himself from the lineup out of pride. But where is the pride when he collects his giant paychecks every 2 weeks and does little to show for it? That is the problem with baseball and sports. When a player does well and is underpaid, he demands higher compensation out of “fairness”. But when a player is making a lot of money and does not perform, the player does not return the money despite the fact that the team is not receiving its value. “Respect” seems to go one way but not the other and that is not right. 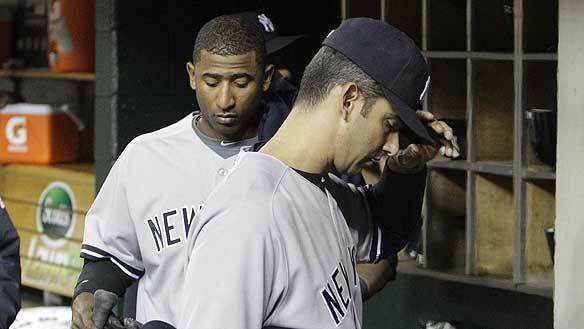 The Yankees are justified in being upset with Posada, as they have shown him respect to-date as shown above. When Posada removed himself from the game, the team justifiably took it as a slap in the face and called the player out for his treason. Coming to his senses and realizing I believe the mistake of his ways, Posada is now trying to justify the situation by claiming “back stiffness” caused his decision to not play yesterday. But why would he conveniently forget to tell his manager this piece of information? If the team was aware of Posada’s injury, Cashman would have responded differently to the media. Posada looks to me like a kid caught with his hand in the cookie jar and is now trying to get himself out. The truth would have been best but now with the injury claim, Posada has made himself and his team look terrible and guilty. Nobody wins in these situations. The Yankees, don’t get me wrong, are not without fault. I do not agree with how Cashman spoke to the media. If Cashman spoke to Posada about the situation, both the player and team should have issued a joint statement after the fact. But airing one’s dirty laundry in the media is not the proper method to use. While the team is justified in being upset over Posada’s actions, it should have dealt with the matter privately and in-house. Now the cat is out of the bag and difficult to hide and clear away. I have seen this situation time and time again with teams and veteran players. The issue is not as much the Yankees and Jorge Posada, but teams giving big money and long-term deals to older players. It rarely works and often blows up in everyone’s faces. 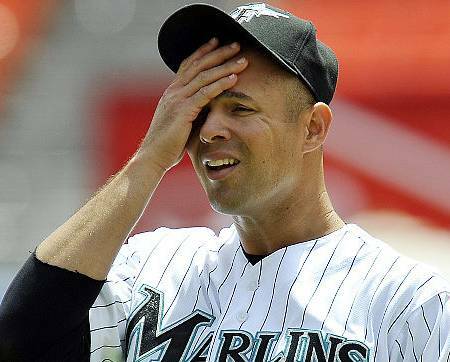 Think to Frank Thomas, Raul Ibanez, Milton Bradley, Aaron Rowand, Barry Zito…how many of these big contracts to older players ended up working out. What kills me is that the teams pay $10s of millions of dollars and its the teams that are seen as disrespecting the players by sitting them, moving them around in the lineup or releasing them. That is not fair in my estimation. If the players are cashing their cheques, there comes a point where they need to shut up, play and do as the team tells them. But this notion is getting lost in baseball and is being lost in the Jorge Posada story today. Where Posada Gates goes from here, few of us know. The likely scenario is that the player will stick to the injury story, the team will grumble under its breath and the relationship will continue smoothly for the rest of the year. Posada’s agent surely told him that he did not have a leg to stand on and to keep his reputation and contract in check, sticking to the injury story would be best for his image. After all, if Posada did come out and state that he sat yesterday because he was upset for being dropped in the lineup, he would branded and blasted in the New York media. But truthfully, I would have respected him more if he had come clean rather than rely on the childish cover-up attempt after the fact. At the end of the day, the deed is done and we all need to move forward. Both player and team need to say their respective stories, make peace and move forward. But based on the Yankees loyalty shown to Posada, let’s remember the full story before we jump to conclusions. Jorge Posada will be a free agent at season’s end. 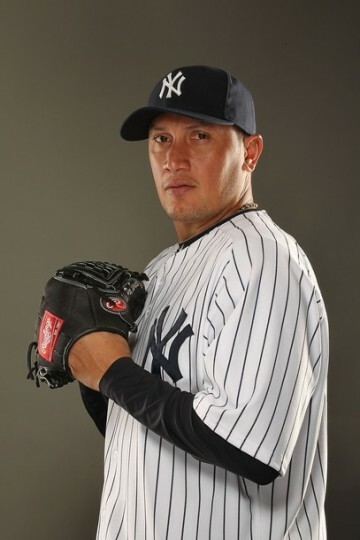 The Yankees have already indicated that he is not in their plans and that they will be moving forward come to 2012. I do not know of many teams that are looking for ex-catchers in their 40s hitting .165 as their lineup targets. Baseball is evolving like we have never seen before. Teams are going away from 40-something DHs and keeping the spot open for younger players to rotate throughout games to keep everyone healthy. With the steroid era at an end and team salaries at an all-time high, baseball is becoming more than ever a young man’s sport. 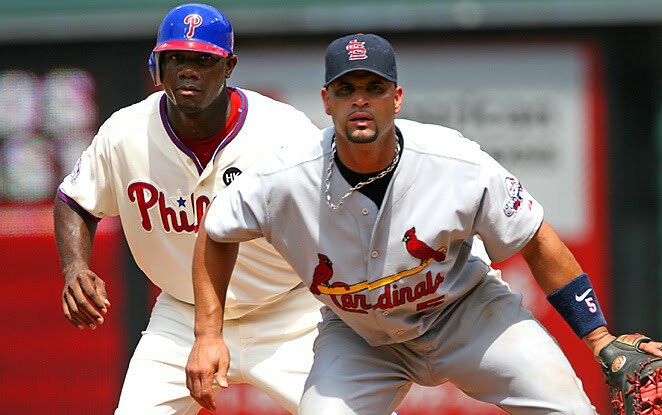 While many players used to hang around till their 40s to pad their career numbers, players like Mike Piazza, Sammy Sosa and Jermaine Dye essentially had mandatory retirement thrust upon them by a lack of interest. Jorge Posada is one of the lucky ones. He is getting to play to his 40th birthday and earning a maximum career salary. While many players in their mid-30s need to play on minor league deals and incentive structures, Posada is getting full and unconditional pay. Posada had to realize this year that he could no longer play in the field and is looking towards the future and realizing that he soon may not be able to play at all. Rather than blaming the team, it is time to look in the mirror and to think how much he has left in the tank. 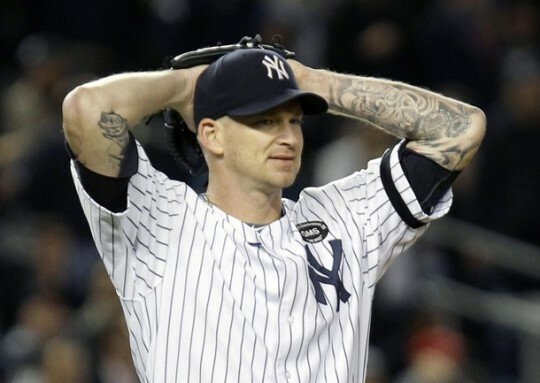 For a team that has given him so much money, opportunities and shown so much faith in him until this year, it is time for him to pay the Yankees back. I hope to see everyone take the high road on this one at the end of the day. It is better for the player, the team and the game. Posada Gate was interesting and provided all of us with good conversation piece. Now let’s be done with it and turn our attention to the only thing that should matter: baseball action on the field.